Your appliances may not perform as highly as before after suffering wear and tear from regular usage. You may also notice break downs or other issues with your appliances due to faulty parts or damages. What should you do to get your home running efficiently again? Call on Mr. Appliance® of Keller. Not only do we take care of all your current appliance anxieties, we make sure to give you tips and pointers on how to keep your appliances running smoothly so that you can avoid future problems. We have the skills and experience to restore nearly any make or model and have quick access to a comprehensive range of appliance parts. Whether you’re having issues with your kitchen or laundry room appliances, be sure to give us a call today for service! At Mr. Appliance of Keller, we make sure to keep our priorities straight, which is why our customers always come first. From the initial appointment scheduling to the final payment process, we work with you to make your experience as enjoyable as possible. Our dependable appliance professionals are always ready to accommodate your needs. If you are tired of dealing with a poor performing or broken down appliance, turn to Mr. Appliance of Keller today. 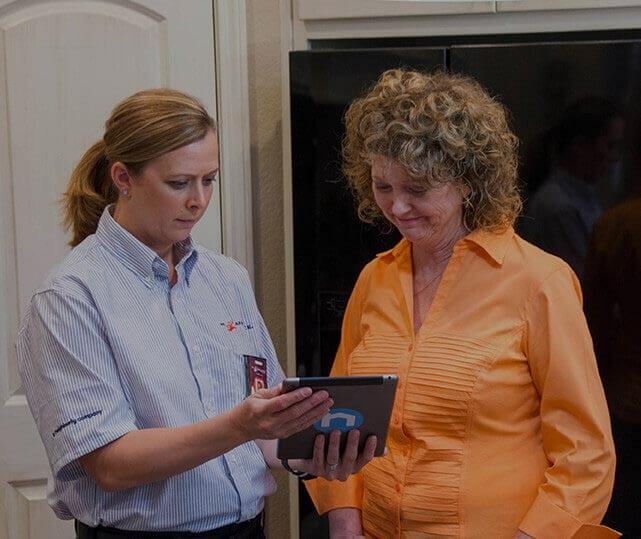 You can contact us at (940) 215-0168 to schedule reliable appliance services. $20 Off Any Repair (of $150 of more) Not valid with any other offers or for diagnostic fee. Valid at participating locations only. Limit one per customer. Locally owned and independently operated franchise.